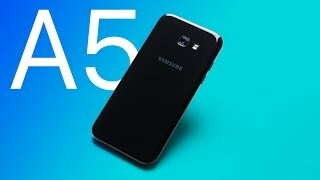 As the Samsung Galaxy A5 2017 release date Nigeria is coming near, the number of rumors in the rumor mill are increasing as well. It’s a mid-range smartphone series that can easily compete with some of the high end smartphones so it’s not too difficult why people are waiting for this smartphone at the moment. It is always a good idea to check out the price tag first before getting to all the nitty gritty details. 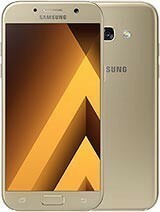 The Samsung Galaxy A5 2017 Nigeria price is expected to be around 118100 ₦ when it’s here. Now let’s see if it will be a good idea to wait for this upcoming mid-range phone or not. One of the major expected changes in the upcoming Galaxy A5 phone is its design. Following the footsteps of the Samsung Galaxy S7, it’s expected to show up with curved edges and metal unibody. There are also rumors about a new Blue color A5 which was not available before. The phone will be also available in Pink, Black and Gold. It will be interesting to see how closely it resembles to the Samsung Galaxy S7 when the phone is here. There is also the Samsung Galaxy S7 Edge if the Samsung Galaxy A5 2017 Nigeria price is not something that worries you. There is nothing surprising here. Users will get the same 13-megapixel rear camera. The front camera is a mystery at this point but it’s also expected to be the similar 5-megapixel camera that we got before. However, we are hoping to see some tweaking or new features when the phone is officially here. Most of the mid-range upcoming phones are aiming for 8-megapixel front cameras so it’s slightly disappointing. For those who are eager to check out the best smartphone camera can try the Google Pixel XL and iPhone 7 Plus. These are already available which means no waiting for the Samsung Galaxy A5 2017 release date Nigeria. 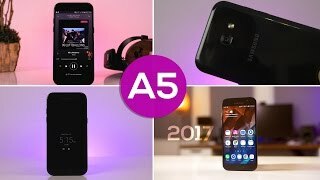 if you are looking for phones with bigger batteries in the same pricing range as the Samsung Galaxy A5 2017 Nigeria price. 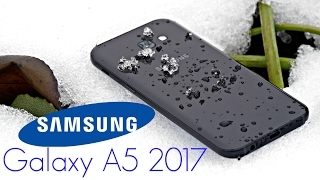 The Samsung Galaxy A5 2017 is expected to show up sometimes in December, 2016. 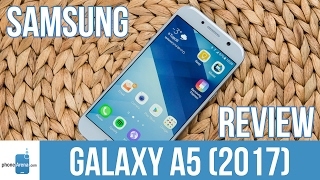 The galaxy a5 2017 Mobile Phone is manufactured by Samsung and was added around November 2016 and is part of the Samsung Galaxy A5 2017 series. This version of the Mobile Phone comes in Color : Black , Capacity : 32 GB , Band : LTE , Display Size : 5.2 Inch , Sim Cards Slots : Single Sim , Special Features : Touch Screen , Special Features : External Memory Card , Special Features : NFC , Device RAM : 3 GB. The model comes in 16 other variations including combination of LTE, 3G Band , 32 GB, 16 GB Capacity , Black Color , 3 GB Device RAM , 5.2 Inch, 5.7 Inch, 4.7 Inch Display Size , Single Sim Cards Slots , Touch Screen, External Memory Card, NFC Special Features. The best price for the Samsung Galaxy A5 2017 in Nigeria is ₦ 130000 sold at Microstation Ltd and available with free shipping and delivery within Free Shipping. By comparing prices and buying from the cheapest store you can save up to 16% or ₦ 25000. 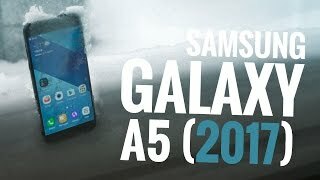 Samsung Galaxy A5 2017 Review - Almost a Flagship Smartphone? 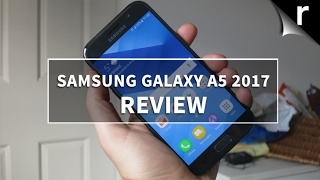 Samsung Galaxy A5 (2017) Review: A Beautiful But Weaker Galaxy S7! 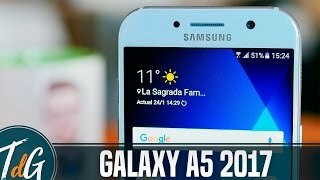 Samsung Galaxy A5 2017 Review! - A Budget Galaxy S8? Price has decreased 29% from ₦ 182000 on 2017-01-31 to ₦ 130000 today.